jumping with my knees bent. style of the movie. We were moving up in the world of Oz productions. around, her shimmering cape billowing. 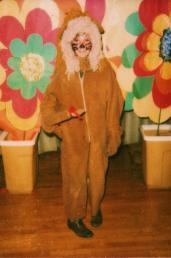 "I am Oz, the great and terrible,"
Brisco, who put it together using songs from both musicals. arm gestures, her voice filling the theater. witches at “Dear Old Shiz,” singing and dancing with the Company. the Great and Powerful, was released in theaters earlier this year. iterations of the theme with me at b.silvey@sbcglobal.net. 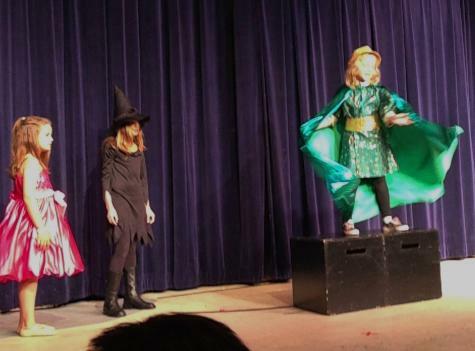 Katyana plays the Wizard in the Adderley School production of Wicked in Pacific Palisades. right, from our yearbook at WTSU. Layla Brisco after the performance.